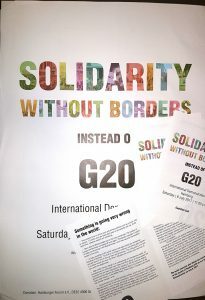 Call: Solidarity without borders instead of G20! … We will clearly express our rejection of this cold and cruel world of global capitalism, as it’s represented and organized by the G20. 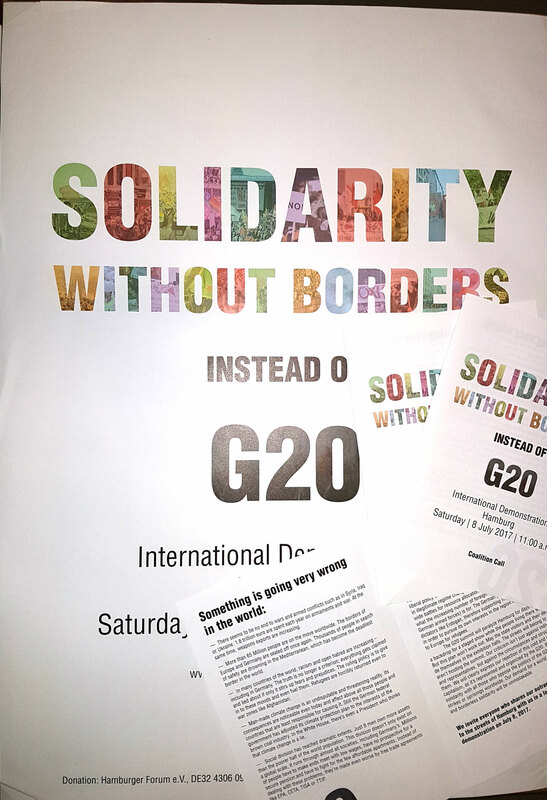 We will express our solidarity with all tho se who oppose the politics of the G20 through protests, strikes or uprisings worldwide. Our demand for a world of peace, global justice and borderless solidarity will be unmistakable. We invite everyone who shares our outrage and our hope to take to the streets of Hamburg with us in a loud, colorful and diverse demonstration on July 8, 2017. Order Leaflets and Posters now!